The V2 version is now up for preorder on my site http://teamtriforceuk.com/a200s-v2/ at £250 each. Order goes in on 18th February, boards back in 3 weeks from then. I have a bunch of 5s lipo packs so I´d love a version that could take 20s so I could get the speed up a bit on my bmx bike a bit. Any plans for something like that? I guess the shunt amplifiers are the limiting components in that case? Yeah the size goes up a lot once you go over 75v, as you either need isolated shunt amplifiers or hall sensor based ones. Here is a quick video of testing I was doing the other night. Tell me please, are you planning to manufacture ESC operating at 30S (126V) at 270A? I need about 35kW of maximum power on my engine. I would like to do a higher power version soon, but not got time to work on one for a while. Ha 40% saturation compensation. What happens without it? Lose tracking at high current? Is it any better if you enter a lower inductance value. I actually managed to turn that back down to 0. I think it was because I was trying to start at 200A in current mode, it works fine if I increase the throttle slowly using a remote and ppm app. I tried the new 3.48 firmware on my v1.3 board but unfortunately it still locks up above 40khz switching frequency. On v6 hardware 60 khz worked great but it can't be good for the drv. That's weird... how could different hardware cause it to lock up. Also where did you get that firmware? The bin files in the new vesc tool. Sources aren't up on github yet. I'm pretty sure the stock 75/300 file on 3.48 is built for 0.00005/3 shunt, 20v/v current sense amp and 2.2k/56k vsense divider if you want to play around. I'm using 22r gate resistors so the dead time was surely wrong. Low speed sensorless was rough and startup was poor. Yeah I use all the same values as 75/300 So can use that file. Although I sent out the prototype to be tested on a low inductance motor. So can't try it out. Derp. I had sample in v0/v7 disabled on my v6 which let it switch faster but with the current control loop running at half fsw. So no, the new firmware can't run the current control loop any faster than the old. We just assumed it could =.=. Pretty sure this is what Benjamin has done in his 75/300 video to get higher pwm frequency. Ah that makes sense. I guess you could probably hit 70kHz then with that off. Yes pretty much exactly double the limit with sample in v0/v7. Pwm frequency is actually half with the vesc so at 100k erpm you get about 20 pwm pulses per electrical revolution. You mean when you set 60kHz it actually switches at 30kHz? That's a bit weird lol. Yea I think it has always been this way on the vesc. When properly switching the FETs at 30kHz, the motor windings see 60kHz PWM (because there are 2 FET legs involved per winding, so 2 transitions for each period of the FET PWM commands). You can now get pcbs and heatsink on the site. I was just wondering what the maximum current the A200S can take longer than only a few minutes is. Im thinking about using it in an electric motorbike. Would you recommend it for that application or do you have any doubts for that ? I have tested it to 150A continuous with no airflow. With some airflow I would expect 200A to be possible. why is the current-rating for the esc voltage dependent? It is designed to run 12S 300A Max, 16S 200A Max and 18S at 150A Max. Is it because the voltage spikes would be too high or are the switching losses that much bigger than the conduction losses so that thermal throttling occurs much faster? The derating is to help protect against voltage spikes from low inductance motors. With a very low inductance motor (0.5uH) you get extremely large spikes. Which are mostly dealt with by the extra ceramic caps. But if you have long battery wires some other weird things can happen. Like if you brake hard at 18S with a nearly full battery and long wires you will probably blow it up. If you have a higher inductance motor, say 20uH then you can run the same current across the whole range. Also the 12S 300A is actually supposed to say 250A. I had it in 2 different places and forgot to change it on the second one. Hey, I pre-order an A200 v2, hopefully my low inductance DC motor wont blow it up this time with all the new fixes. When are you trying to start shipments? Thanks, yeah I think it should be fine this time. The old boards were dreadful in comparison. The last part to arrive will be the heatsinks, so hopefully in about 2 weeks. Did you manage to get it running ok on the 75/300? This is essentially the same, just slighter higher voltage rating and lower continuous current. My international bank transfer for the heatsinks got delayed. So I instead paid for them with paypal. This does mean I won't get them till nearer the end of march. Also I am going to be adding an option on the site for maximum operating voltage, so people can get a board with Mosfets that fit their use case better. Options will be 75v, 65v, 50v, 30v. (100v, 75v, 60v, 40v mosfets). 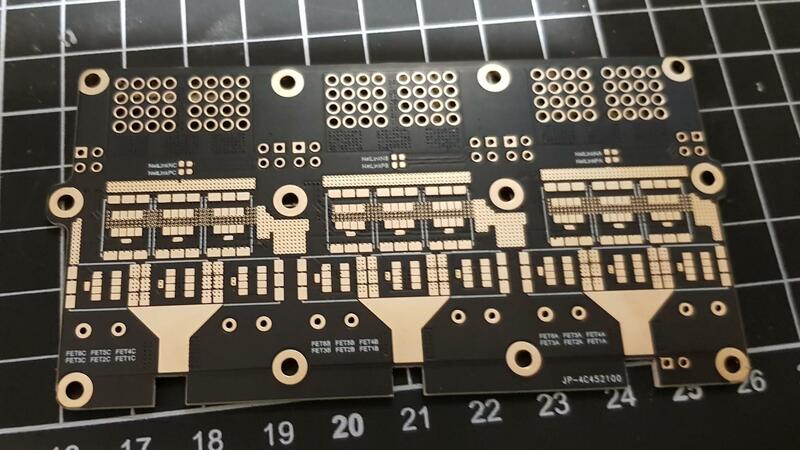 Since power boards are now separate you could actually buy another power board for quite cheap with different voltages depending on what you want to run. (Power board has Mosfets, shunt resistors, capacitors, connectors, and temperature sensors) The maximum current would probably stay fixed at 300A. As anything over that is just silly anyway and connectors are rated to 300A continuous. Plus it means all the other parts can stay the same, so no change to pcb between voltages. 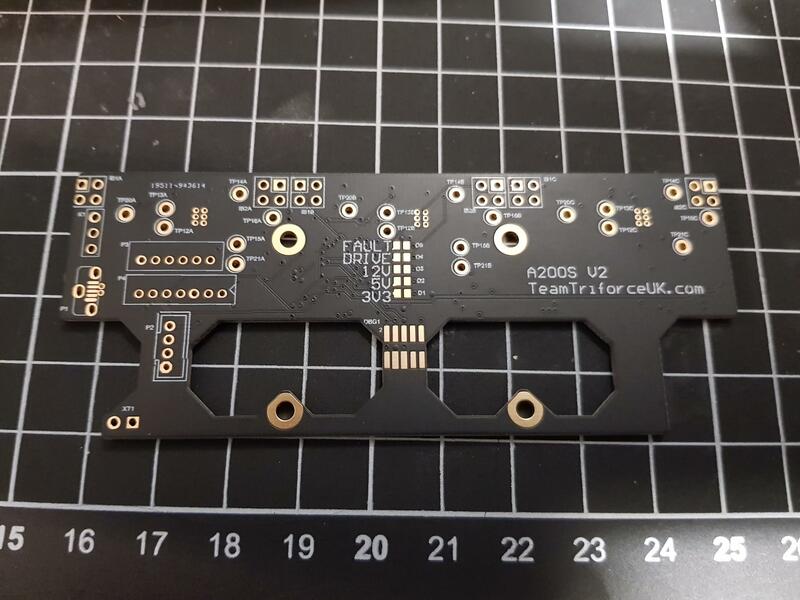 The main reason this is useful is that you will be able to run much higher continuous currents on the lower voltage boards. So if you have a motor you want to run on 6S at 300A continuous then you will be able to do that. 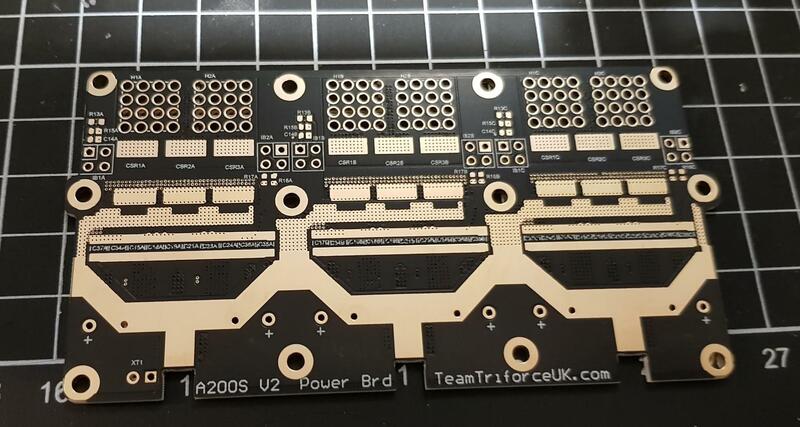 Yes ones without a heatsink will ship once we finish assembling the boards. They are supposed to arrive on Tuesday. So not long now. The PCBs arrived! (A few days late grr) but they look so snazzy that I can't complain! 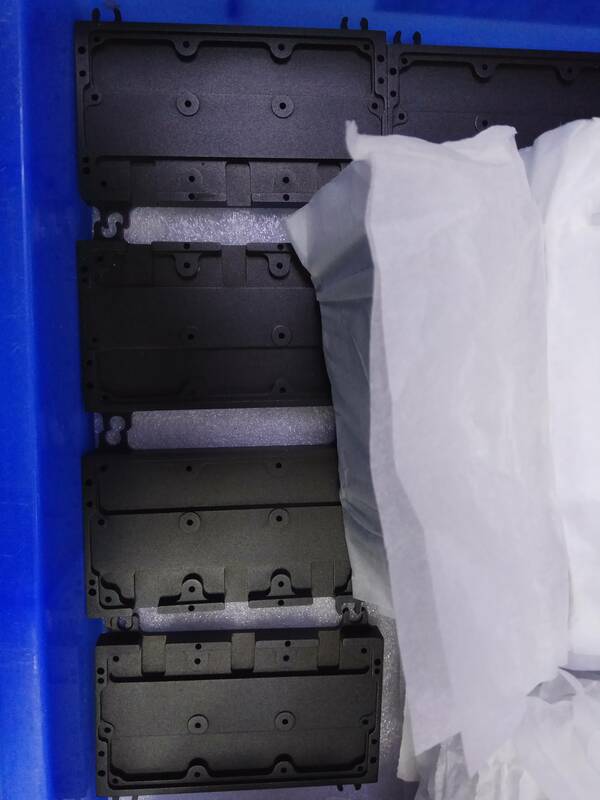 Heatsinks are on their way!